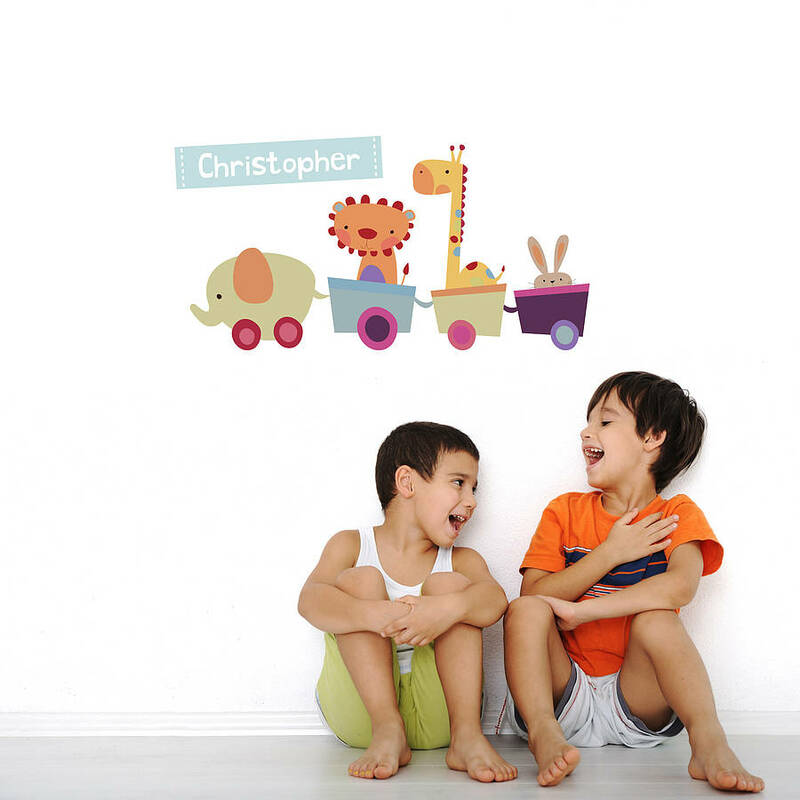 A lovely personalised toy train wall sticker, perfect for your little ones bedrooms and nurseries. Produced from premium matte vinyl that is reposistionable and reusable we are confident you will find our new range of peel and stick wall stickers that are really easy to use. Simply peel and stick to any smooth surface. 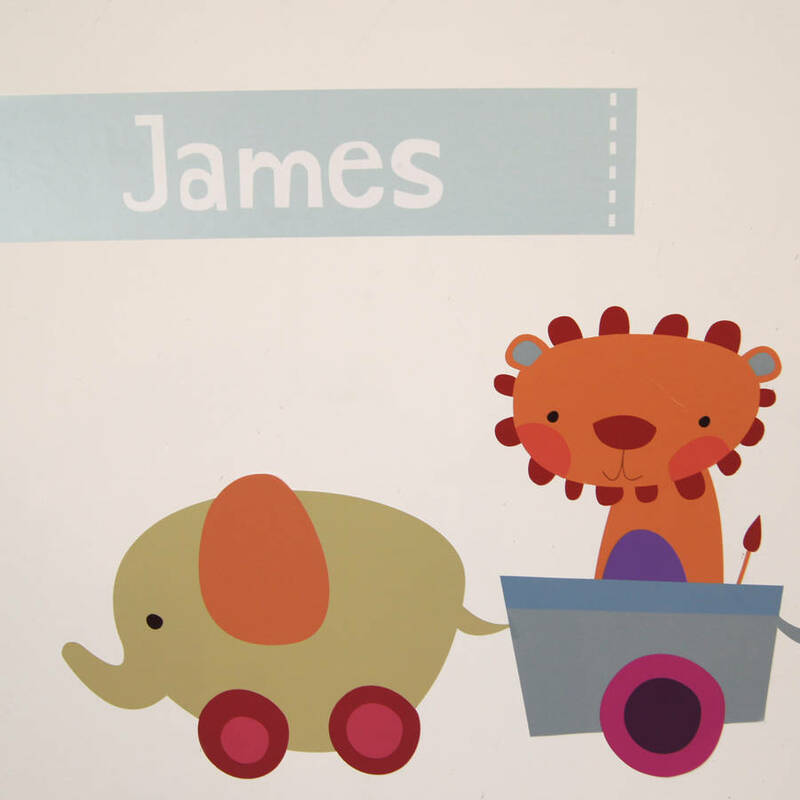 Using Eco-friendly inks to produce vivid and exciting images that your children will love. 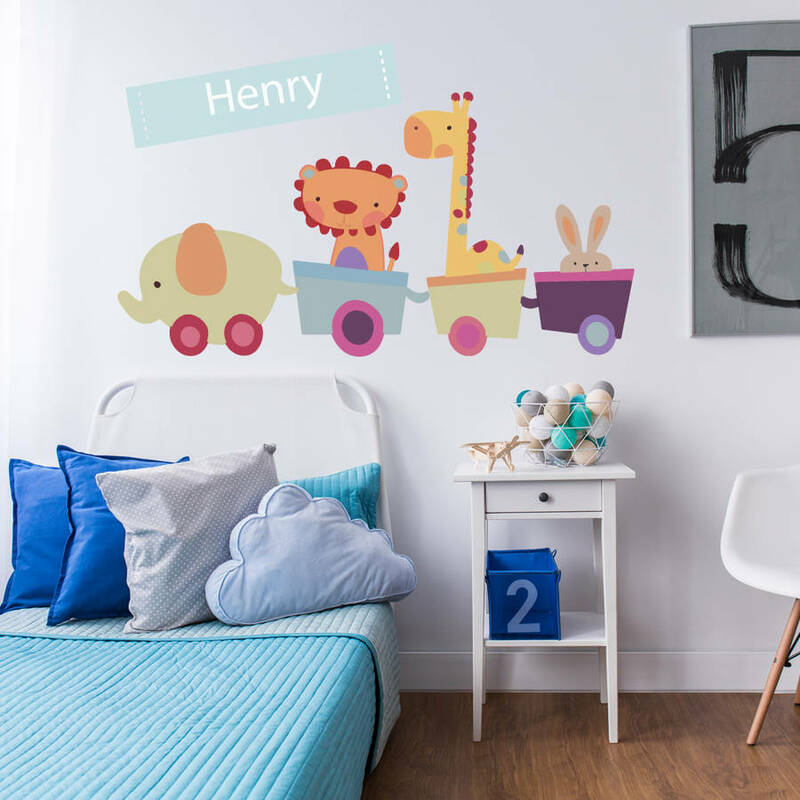 Our childrens wall stickers are hygenic being wipe clean and durable so they can be moved time and time again without damage to your walls or the sticker. 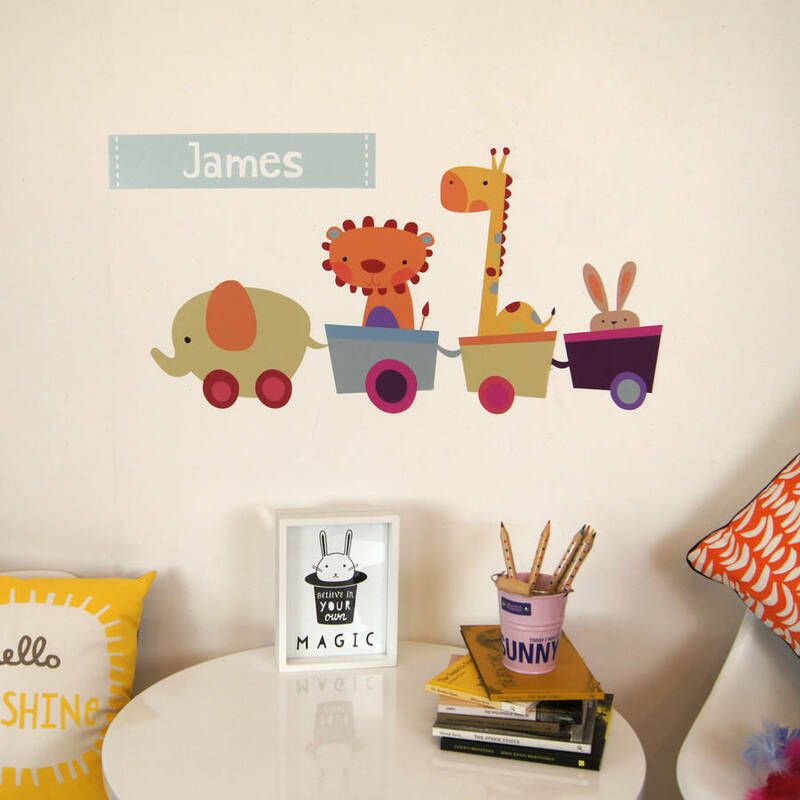 To personalise your toy train wall sticker simply leave your name in the box opposite.